Organisers of the WSOP have announced that two charity events at this year’s WSOP generated over $1.3 million for the One Drop Foundation. 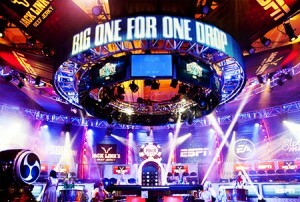 Two charity events at this year’s WSOP helped to raise more than $1.3 million for the One Drop Foundation. There were two branded One Drop tournaments this year, the $111,111 One Drop High Roller Tournament and the Little One for One Drop tournament. A record 166 players entered the High Roller event and $553,278 of the prize pool went to the charity. $111 of each buy-in to the Little One event was also donated which brought the total to $1,081,194. A further $246,012 was generated from the “All in for One Drop” campaign which saw players donate a portion of their winnings to the charity.